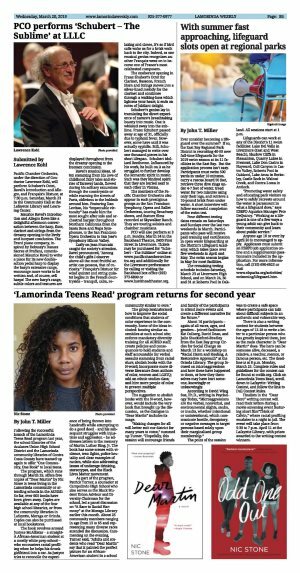 Following the successful launch of the Lamorinda Teens Read program last year, the school libraries of the Acalanes Union High School District and the Lamorinda community libraries of Contra Costa County have teamed up again to offer "One Community, One Book" to local teens. 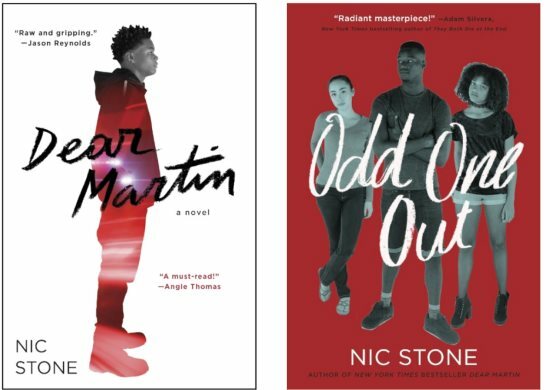 The program, which runs through March 29, offers free copies of "Dear Martin" by Nic Stone to teens living in the Lamorinda community or attending schools in the AUHSD. So far, over 600 books have been given away. Copies are available at any of the four high school libraries, or from the community libraries in Lafayette, Moraga or Orinda. Copies can also be purchased at local bookstores. The book revolves around Justyce McAllistar - a straight-A African-American student at a mostly white prep school - who encounters racial profiling when he helps his drunk girlfriend into a car. As Justyce tries to reconcile the experience of being thrown into handcuffs while attempting to do a good deed - and his subsequent struggles with injustices and aggression - he addresses letters to the memory of Martin Luther King, Jr. The book has some scenes with violence, teen fights, police brutality and clear examples of racism, while also addressing issues of underage drinking, stereotypes, and the Black Lives Matter movement. As part of the program, Patrick Turner, a counselor at Campolindo High School who also serves as the Black Student Union Advisor and Diversity Chairman for the school, led a panel discussion on "A Race to Racial Harmony" at the Moraga Library earlier this month. About 25 community members ranging in age from 13 to 65 and representing many diverse races attended the discussion. Commenting on the evening, Turner said, "Adults and students who read "Dear Martin" say that it painted the perfect picture for an African-American student in a school community similar to ours." The group brainstormed how to improve the social conditions that students of color experience in the community. Some of the ideas included: hosting similar assemblies at each school site; enforce mandatory diversity training for all AUHSD staff; create policies and consequences to hold students and staff accountable for verbal assaults stemming from racial slurs; abolish books with the N-word; incorporate more diverse literature from authors of color, women and LGBTQ; add an ethnic studies class; and hire more people of color to present multiple perspectives. The suggestion to abolish books with the N-word, however, would include the very book that brought up the discussion, as the dialogue in "Dear Martin" includes its usage. "Making changes for all will better suit our district for many years to come," summed up Turner. "Hopefully, this session will encourage friends and family of the participants to attend more events and create a different narrative for the future." About 16 participants - again of all races, ages, and genders - joined facilitators Kat Culberg, David Dean, and Julie Shackleford-Bradley from the East Bay group Circles for Social Change on March 13 for a workshop on "Racial Harm and Healing, A Restorative Approach" at the Orinda Library. The group focused on microaggressions and how these have happened to them, or how they themselves may have hurt someone, knowingly or unknowingly. According to David Wing Sue, Ph.D., writing in Psychology Today, "Microaggressions are the verbal, nonverbal, and environmental slights, snubs, or insults, whether intentional or unintentional, which communicate hostile, derogatory, or negative messages to target persons based solely upon their marginalized group membership." The point of the session was to create a safe space where participants can talk about difficult subjects in an authentic and vulnerable way. There is also a writing contest for students between the ages of 12-18 to write a letter to a particular person who has greatly inspired them, just as the main character in "Dear Martin" does. The hero can be someone alive, deceased, a relative, a teacher, mentor, or famous person, etc. The deadline is at 8 p.m. Monday, March 25. Complete rules and guidelines for the contest can be found at ccclib.org. Click on Lamorinda Teens Read, scroll down to Lafayette: Writing Contest, and follow the link to Full Contest Rules. 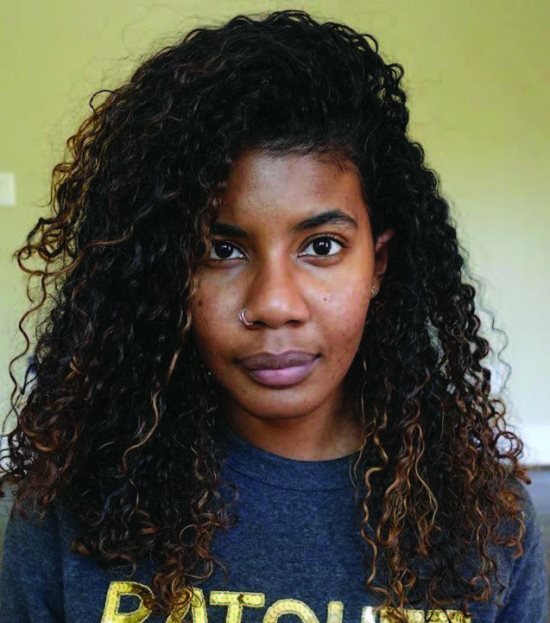 Finalists in the "Dear Hero" writing contest will read their letters during a movie screening event featuring short film"Think of Calvin," where racial profiling escalates to a night in jail. The event will take place from 5:30 to 7 p.m. April 11 at the Lafayette Library, with prizes awarded to the writing contest winners.